Twenty years ago I graduated from Computer Engineering course and I have never imagined this kind of innovation technology would reach. 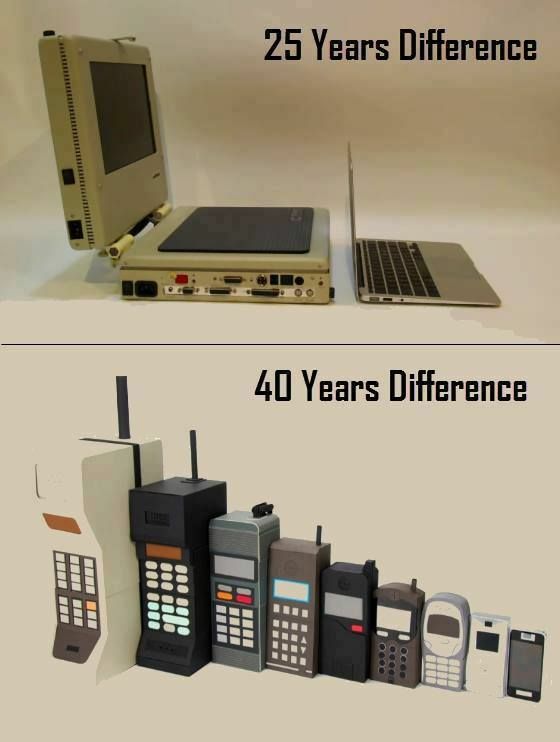 I gradually witnessed the evolution of technology in various fields of work and interest. Mobile communication is very far from my imagination then as computer is the focus of technology then. We were so amazed at how we’re learning what other people are gasping about because not every one then had the privilege to know computers and its software. I can say that technology life seems so young then with big CPUs and CRT monitors as our medium of learning new technology. I was not left behind by every transformation and innovations made by smart and intelligent technical experts because I was working all the time and I was always in the EDP department. Yes Electronic Data Processing department was the name of the department then which was changed MIS and later to IT. Such transformation was only minor compared to changes in the last 10 years where people reach the peak on modern trends on communications, internet, call centers, call terminations, online conferencing, banking, digital printing, digital photography, blogging, social networking and a lot more. I’m overwhelmed and thankful for all these modern innovations as my online work depend on it and without these technologies I will never have blogged and write about so many things. But I still miss those old days where people spend more time chatting face to face while having coffee on a good old coffee house without the interruption of online socializing.